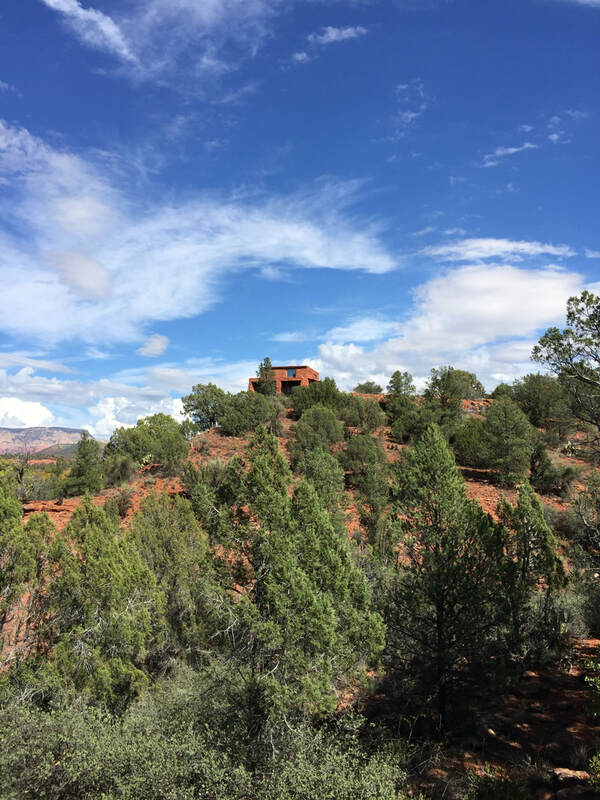 ​We arrive in Sedona at the home of our gracious hosts, Richard and Leslie. It's good to be off the road! 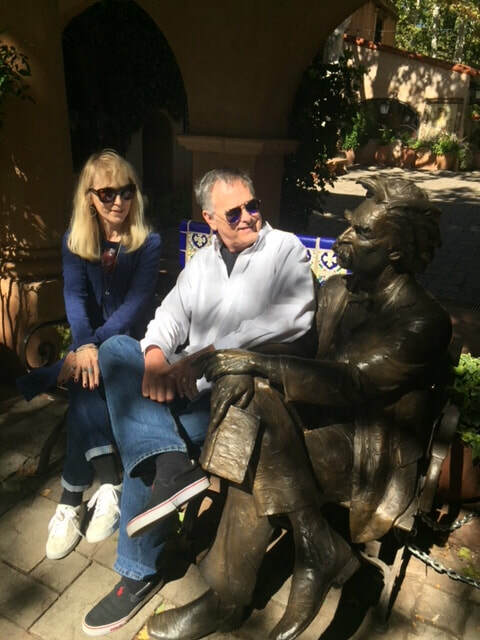 Later, we cruise into downtown Sedona for some shopping and have a chance meeting with none other than Mark Twain, great American novelist and humorist. How's it hanging, Mark? 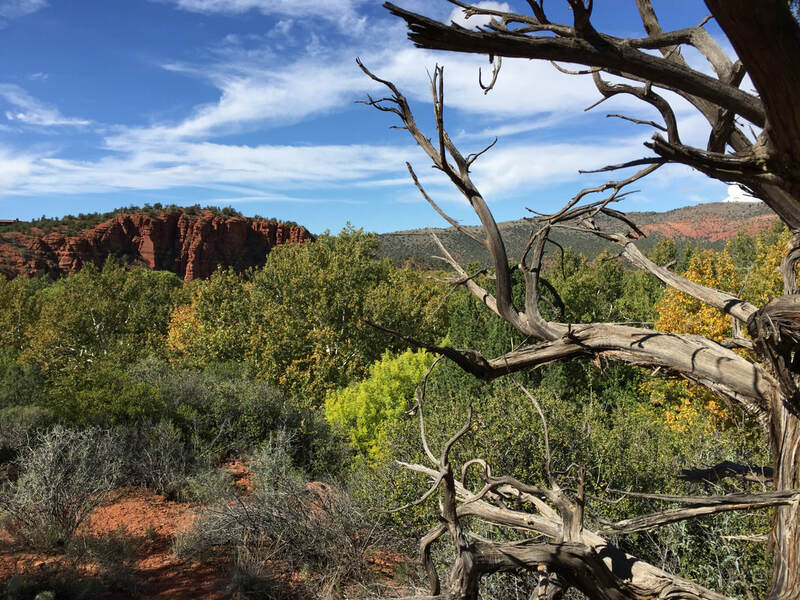 ​ the beautiful red rocks and forests that ring the area. 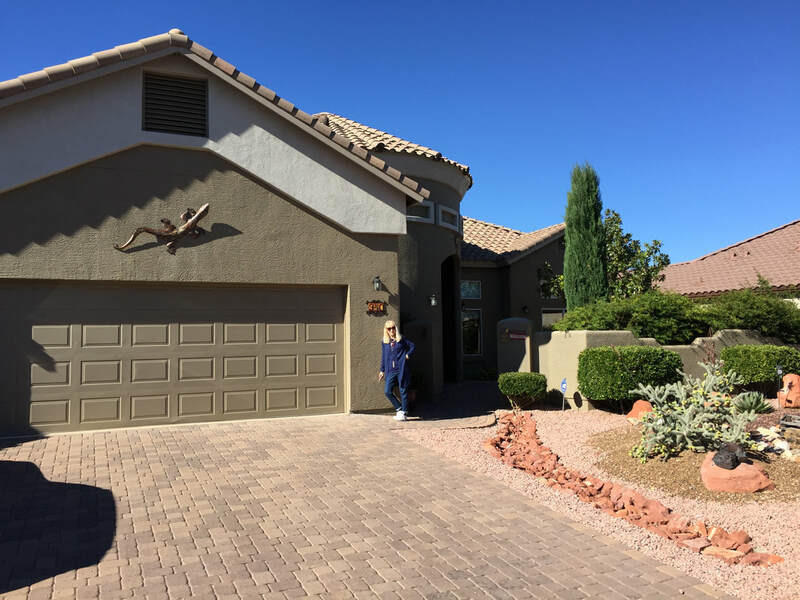 Our hosts take us to Red Rock State Park, where the magnificent red rocks are on display. 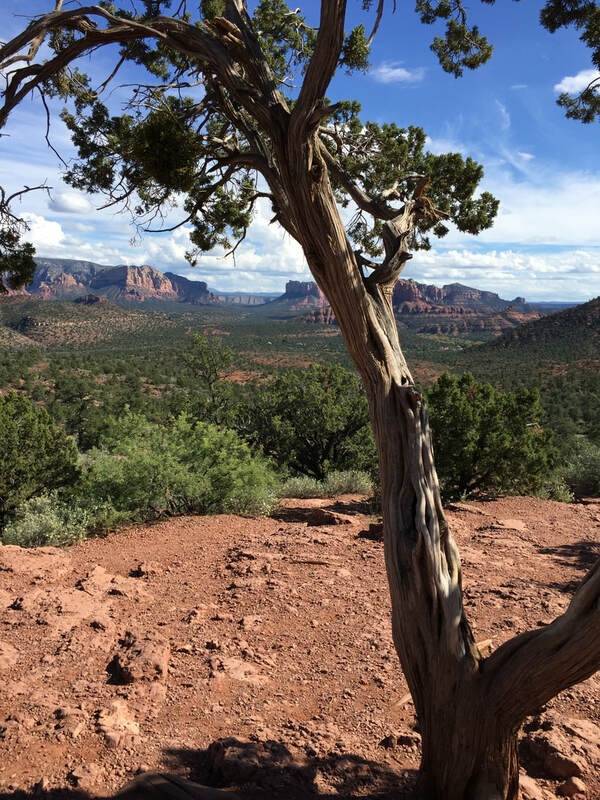 ​We hike to the House of Apache Fires, sitting on one of the highest peaks in the park. 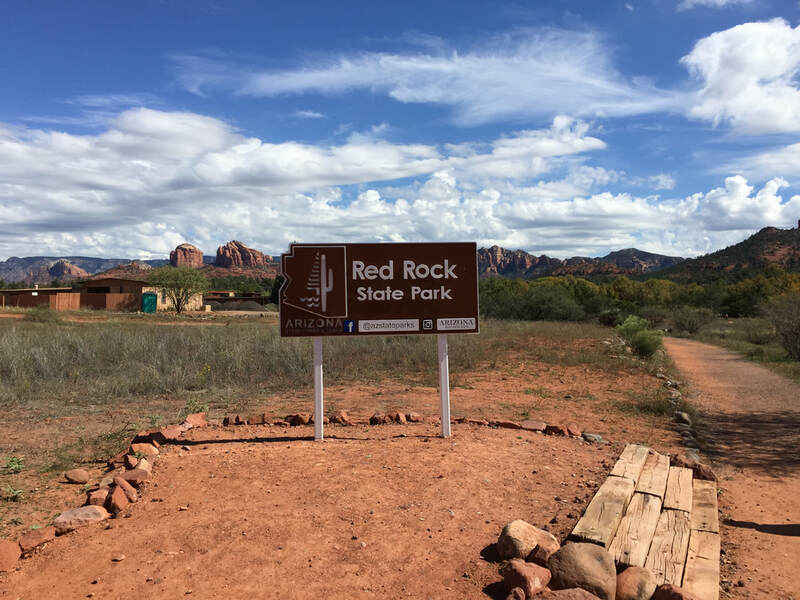 Later, we signed up for the Red Rock Jeep 'Solider Pass Trail' Tour. 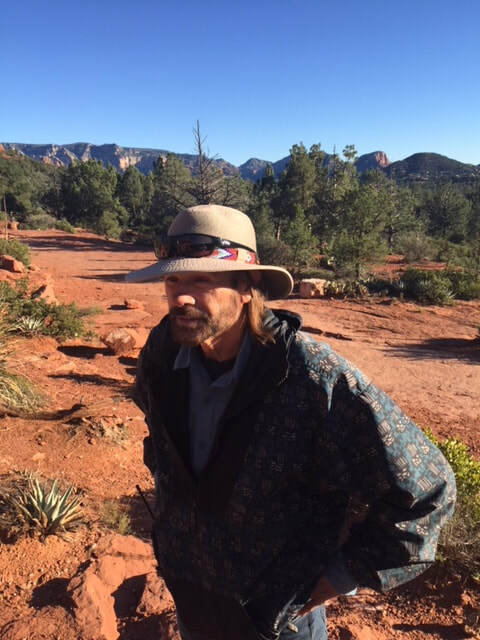 Our guide, Brad, navigated some bumpy, off-road driving and provided great insights into the nature of the area. Everywhere you look is a postcard. 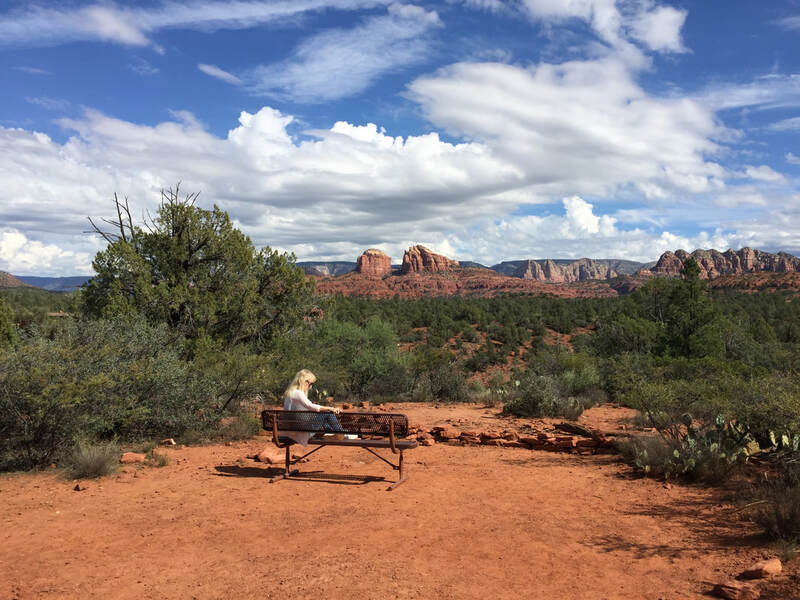 Below, Pam found a bench with quite a view! 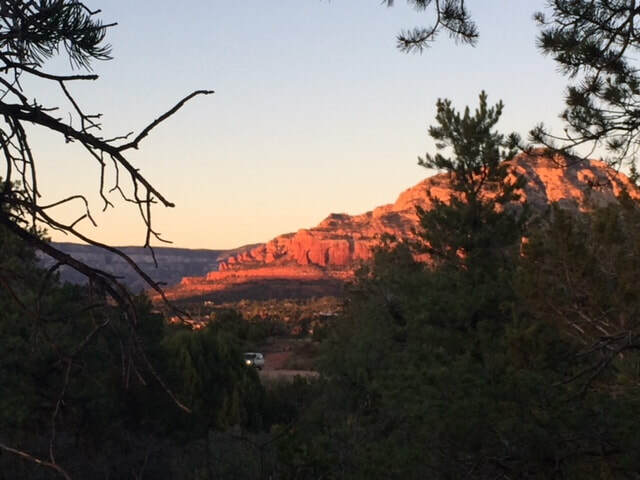 As the sun started to set, we headed back to Sedona and a glass of wine after a perfect day. 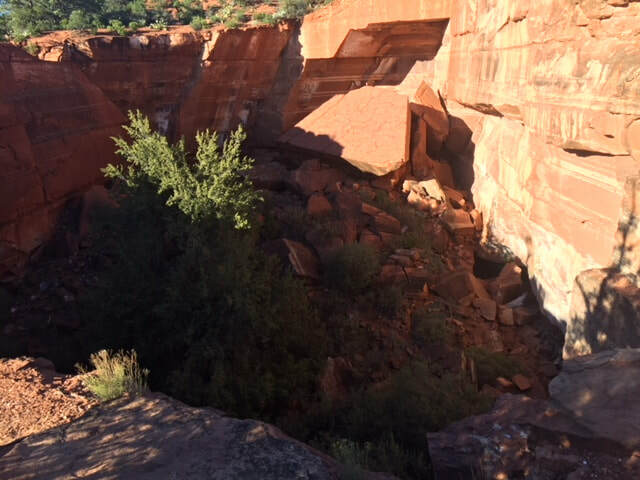 Our tour included stops at the Devil’s Kitchen sinkhole and Apache's Seven Pools. That's the sinkhole, below.